When it comes to defensive shooting skills, there are all sorts of shooting drills and skills that various people trying to sell you expensive courses say you need. Granted, training is good, and any skills you can add are beneficial. But what if you don't have that kind of cash? Not everyone has the money to do a thing like that. What, then, can the cash-strapped concealed carrier do to ensure they have the skills to keep themselves alive. These 3 shooting drills. At least one can be done in the home, the other two do require the range...but if you ask the experts, these are the base skills that will keep you above ground if that time comes. The first is your choice of dry fire drills. Either will get the job done, in terms of honing the desired skill and that skill is trigger control. Ask competitive shooting legend Robbie Leatham, he'll tell you dry firing is absolutely essential and part of his training routine. The military has people practice dry firing to hone their skills. Karamojo Bell, the professional hunter who bagged more than 1,000 elephants in the early 20th century, was a dry firing fanatic; he'd do his dry fire practice on distant targets while on the march during hunting trips...and he was known for shooting birds on the wing with a iron sight rifle. Point being, you need to dry fire. You also need to make good and sure that your gun is clear of ammunition; in fact, put your magazine or ammo in another room if possible. 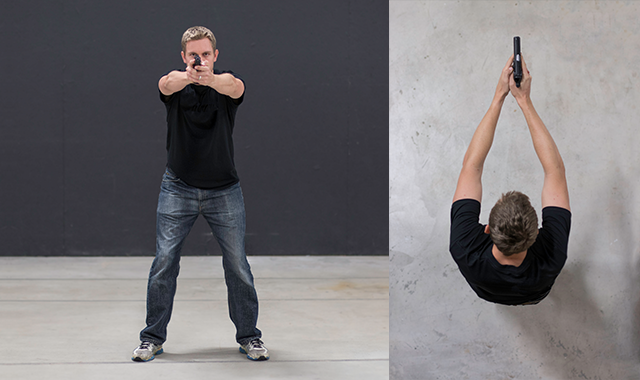 The wall drill is simple: pick a spot on the wall and get it in your sights. 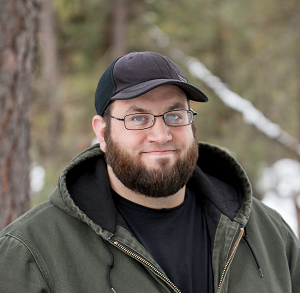 Focus on the front sight, with the wall spot just out of focus behind it, and squeeze the trigger. If the sight doesn't move, you're doing it right. Repeat, as often as possible. The balance drill is related. Do the same procedure, but balance a small object - such as a coin, spent shell, push-pin or whatever will work, on the slide of your auto or top strap of your revolver. If it doesn't move, you're doing it right. Good trigger technique has almost as much, if not more, to do with accuracy than your sights do. If your dry firing is solid, then that will mean better shooting. The first shot drill is simple: draw and fire one shot. That's all. There's an old saw that "speed's fine, but accuracy is final." The goal of this drill is to develop both by incorporating gun drawing along with shooting, which is far more realistic than mere target shooting. However, this one also takes time to get really good at. This drill should be done at the range , though it can also be done in the home as a dry fire drill. You should use a shot timer and log your performance. Use your carry holster too; train how you'll fight. Start by drawing, presenting, aiming and firing, then reholster. If you're starting to train with this drill, start slow, smooth and consistent. It's okay if it takes more time than you'd like; you need to build up to speed. Be perfect first; get fast later. Ideally, you'll want to practice with a silhouette target, to simulate the shape of a person, though it isn't strictly necessary. If you can get tight groups on a 6-inch paper plate doing this drill, then you're actually doing well. One thing you'll definitely want to get is a shot timer. Bill Jordan recommended this drill be 90 percent of a peace officer's training routine. When it comes to combat use of a handgun, few people were on his level in terms of knowledge, experience and also ability. Jordan was able to draw, fire and hit a target in one-third of a second at will; one of his tricks was to shoot aspirin tablets...from the hip. What he observed in the field was that it wasn't the first hit that usually stopped a fight; it was the first accurate one. Add it to your dry fire routine at home while you're at it. Delf "Jelly" Bryce, the famous lawman, was known to practice his draw for hours while at home. Bryce was just as fast as Jordan, and scary accurate to boot. Both would also tell you that their seemingly inhuman speed to the first shot is acquirable through practice. This drill is how you get there. Two to the body, one to the head - the "failure drill," "failure to stop drill" or "Mozambique drill" is a proven method of downing an attacker. While hitting center mass is all well and good, it doesn't always do the trick. This is also one of the most proven shooting drills in combat or defensive shooting you can practice. There are only a few proven "stops;" a bullet to the chest cavity can wound a person lethally but it takes minutes to take effect in some cases. Only a few injuries by projectile down a person almost immediately. You can destroy the kneecap, the pelvis, hit the spine or the brainstem. The latter, of course, is the easiest of these to hit and that's what the Mozambique drill does. The story is that Jeff Cooper, founder of Gunsite and the guy who wrote down the 4 Laws of Gun Safety, knew a man that served as a soldier of fortune during the civil war of that country. An enemy soldier approached him, and having no time to bring his rifle to bear resorted to his Browning Hi Power. He placed a double tap to the chest, and when the enemy soldier didn't drop, aimed for his enemies' head. The shot actually hit the neck and the spine, but the idea of a third, aimed head shot to stop was what Cooper took away. He started teaching it and police forces and military forces the world over started using it...and efficaciously, which is why they still do. You double-tap the body, firing the second shot after acquiring the fastest possible sight picture. Basically, the instant the sights return to the chest cavity you squeeze the trigger. Briefly pause while carefully finding the head in the sights, and preferably aiming at the bridge of the nose or around that area. Squeeze again. That's it. If you want to add another dimension, draw first. If you can get competent at these drills, you're a lot further along than many people. 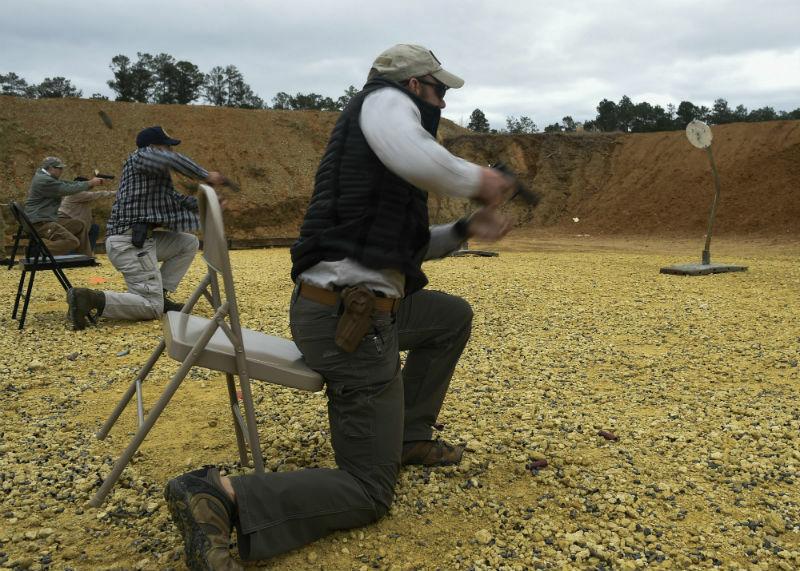 There are no guarantees in this life (except maybe on our gun belts) but getting competent with these shooting drills will make you far better prepared for a lethal encounter. Best of all, they're easy...and cheap.